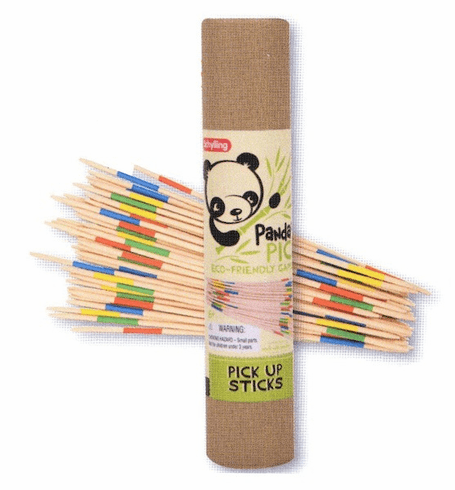 This eco-friendly wooden sticks game is made of bamboo, the ultimate sustainable material. It's narturlaly organic because it's grown without pesticides or chemicals and is 100% biodegradable and naturally regenerative. Plus, it's tons of fun.